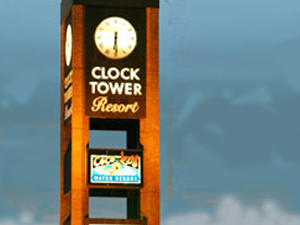 Driving up to Madison, Wisconsin, on Interstate 90, from Chicago’s O’Hare airport on business last week, a colleague pointed out the Clock Tower Resort as we passed through Rockford, Illinois. This establishment was recently elevated to the status of a historic landmark by the Wisconsin Democratic senators who decamped there with the aim of blocking reforms of public workers’ pension and health benefits as well as collective bargaining rights, as proposed by Badger Governor Scott Walker. “Fleeing Wisconsin lawmakers bring circus to Illinois resort,” was the rather telling headline in the Los Angeles Times. The main event, of course, was the three-ring circus underway back in the Wisconsin state capitol where the constitutional process has ground to halt, resulting in a vacuum that public workers are filling with non-stop demonstrations protesting the Governor’s proposed legislation. Governor Walker and the GOP majority in the legislature show no sign of backing down. Indeed, as Charles Krauthammer has opined, they have, metaphorically speaking, crossed the Rubicon. This is a battle to the death. Too much blood, sweat, tears and political capital have been expended. Nothing short of victory would justify the sacrifice for either side. There appears to be no avenue for retreat or a face-saving compromise at hand. Moreover, the national significance of this confrontation — along with similar ones in New Jersey, Indiana, and Ohio — is recognized by every American still maintaining a pulse. These political battles are as consequential as anything the nation has experienced since slavery, even greater than the 1960s. It is no longer a question of losing a war on the other side of the globe but of preserving a political and economic order so crucial to the opportunity, growth and prosperity at the core of the American project. One measure of this high-stakes controversy is the anti-democratic tactics of the Democratic senators from Wisconsin, who, presumably, are sworn to uphold the state and federal constitutions and elected to serve the people and a system more important than any passing controversy of the moment. Having been unable to win within the system, they are now hell bent on subverting it. Saul Alinsky would be proud. Rather, they are challenging the very legitimacy of the democratic republic and its constitutional foundations. The idea that they have a constitutional duty, an obligation, to show up, enable a quorum and cast a vote, up or down, on the subject legislation, is completely lost on these senators. Elections have consequences in this country — or should. Recall campaigns will surely begin after this escapade. The estimable Republican Wisconsin Congressman and current Budget Committee Chairman, Paul Ryan, appears on a video now on the Web in which he says he was very much opposed to the Democrats’ legislative agenda in Washington over the past two years. But he sucked it up (my words, not his) and cast his votes. He showed up, and as Woody Allen said, that is 90 percent of success. He didn’t “lit out” to the territories, not to mention Rockford, Illinois. Meanwhile, back at Mad City, Governor Walker has raised the ante, pointing out the possibility of 12,000 layoffs, as early as next week, in the event his legislation is not passed in a timely fashion. He is also visiting several senatorial districts of AWOL senators to put pressure on them to show up and vote. In sum, the issue comes down to whether the government will be the servant or the master of the society. Is civil society or the government the paramount institution in a free society? Like it or not, this is the time to chose sides.